“Marriage is like milk and sugar. Men are the milk; ladies are the sugar. … Milk by itself is just protein. Sugar alone is just taste. They must be mixed together to give both taste and protein. “In the Hindu culture, the wife is called half of the husband … Marriage is a sacred bond and it is a promise you are making to each other because the wife is half husband and the husband is half of the wife. Half plus half is not two but one. “Selflessness is God. The self which is selfless is God. To feel ‘mine’ and ‘thine’ is ego. Ego is very harmful. It is to kill the ego that two souls are brought together. They can learn to adjust to one another and forget their egos. “Marriage means your life, a whole lifetime together, not just a few days or a few weeks, or a few years … Marriage is a training ground for fostering tran-sensual love. “Life is like a ring. The ring is the heart; when that is given, the gift is the heart itself. That is the sacred bond. Marriage is the joining together or bringing together of a man and a woman for the sake of progeny. People should exercise discipline and control in married life. That is why it is said there can be no glory or achievement without discipline. Before marriage, he is half body. Before marriage, she is half body. Lady is always left side. Right side is gent’s. The gent’s body is always the right side of the wife. Now you have only one body. In Indian philosophy or custom this is called ardhangi. (Ardha means half). Wife before marriage is only ardhangi, half body. Now the left side is joined with the right side and you are full body. “In the future, husband’s troubles are wife’s troubles and wife’s troubles become the husband’s. It is like, if one part of the body is paralyzed, the other part of the body feels the paralysis. And so, your wife must feel your pains and you must feel her pains. Both of your pains are removed by Swami. Both husband should help wife and wife should help husband. The brides and the grooms were then readied and brought to the stage. As they were all seated on the stage they appeared to light up the entire city of Mithila. The ladies experienced unlimited thrill. They praised their good fortune at being able to witness the wedding of not just Sita but all the four princesses. This is divine will. If God so wills He can do anything. Who can do what God does? Who can possess all that God has? God alone is the eternal witness. His will alone can accomplish anything. The wedding was going on. But the four brothers would not raise their heads and look at anybody. In the modern age on the other hand conversations and frivolous behaviour begins much before marriage! But here the brides and grooms sat with their heads lowered in humility and modesty throughout the ceremony. They carried out the instructions of the priest without raising their heads. I am narrating these incidents to you to highlight the high order of discipline and idealism entertained in those days. 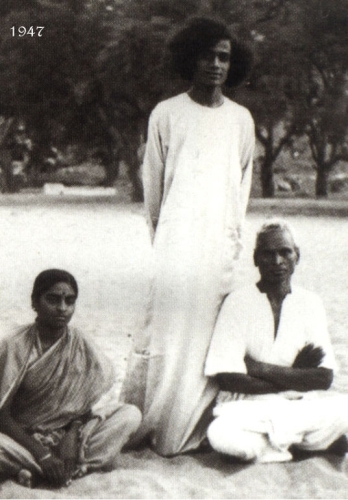 But, Rama politely declined his request, saying that he could not do so without the permission of His parents. In contrast, today’s youth make a big show of a marriage proposal. They arrange to print expensive invitation cards with costly designs and colours and distribute to all. That was not the way of Rama. He thought, “We are four brothers born at the same time. Hence, whether it is upanayana (thread ceremony) or vivaha (marriage), it should be for all of us together.” Till then, Rama did not even look at Sita. Today’s youth are different. The moment an engagement function between a boy and a girl is over, they go to a cinema together. This is not good. Sita did not come out into the open till the muhurtam (auspicious moment) when the marriage was near. Rama also did not look at her till that time. It is only after His parents came to Mithila and Viswamitra informed them of King Janaka’s proposal to give his daughter Sita in marriage to Him that Rama consented to marry her. Even then, He did not look at Sita till the marriage ceremony was over. The couples were to exchange garlands as part of the wedding ceremony. Rama, Lakshmana, Bharata, and Satrughna were standing in a line, ready to garland their brides. Rama was the eldest among the brothers. Hence, His bride Sita was to garland Him first. Later, the other brides were to put garlands around their respective bridegrooms. 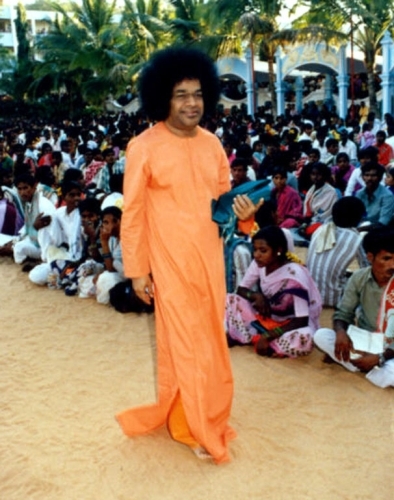 In all fields of human endeavour, Sathya Sai Baba tells that we should be looking into every aspect of any project or activity, knowing all the components, all the tasks, all the options, and all the different aspects, roles played by others, duties and responsibilities. We should look into everything. 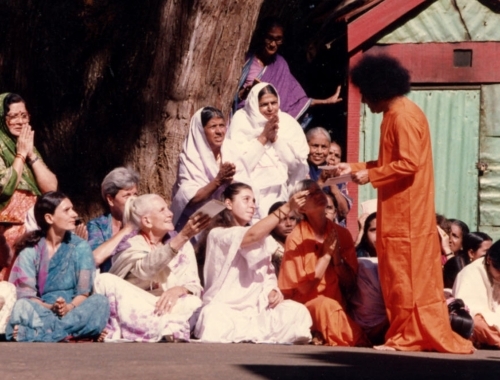 On this page, we have given excerpts from the Sandesh and teachings of Sathya Sai Baba, who came to restore dharma on a firm footing, to foster devotees, to foster the Vedas, and to foster the study of the Vedas and other sacred teachings. 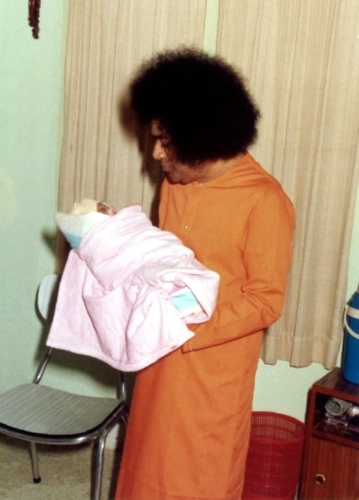 Discourses and teachings of Sathya Sai Baba should be taken into consideration by all parties to a marriage, along with the service of the learned astrologer and then only the marriage should be performed since the marital union is the most fundamental ritual in the life of mankind. 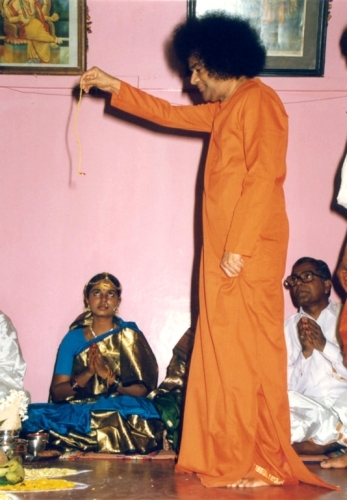 This is the service of Sai Bharathi, for, as well tell on the main page of this website, the workplace becomes the temple; agastya nadi astrology along with marriage, synastry, compatibility checking, dosham removal, muhurtam and performance of rituals; all these add up to the swa-dharma of the Astrologer, the duty, the task, the role and the offering. All nine forms of devotion are included in the seva and swa-dharma of the Astrologer.